During their livestream on Thursday, Nintendo broke down the basics of how their paid on-line service will work. Surprisingly, the presentation was simple and to the point, showcasing 5 basic features that will be offered to subscribers. When playing on-line, subscribers can battle against each other or work together. The games currently available for on-line play include Splatoon 2, ARMS, Mario Kart 8 Deluxe, Mario Tennis Aces, and Super Smash Bros Ultimate (when out). This list will continue to grow. 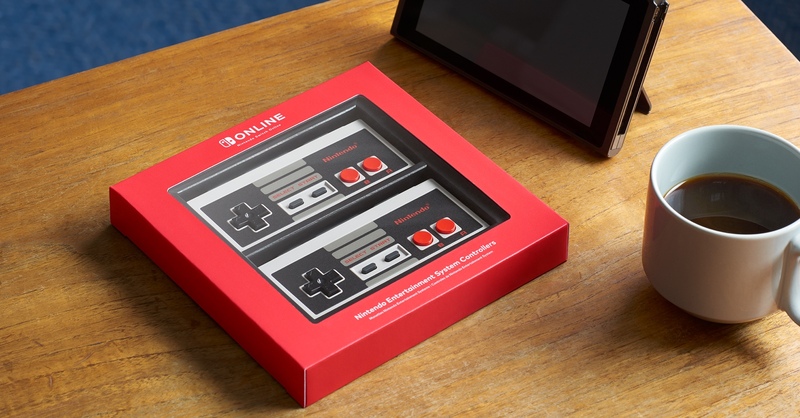 A large catalog of classic NES games such as The Legend of Zelda and Donkey Kong will be available to subscribers only. At launch, 20 will be available with many more on the way. (Connect to a full list, here). Ever worry about losing your game save? Now, you won’t have to thanks to data being stored in the cloud. Not only will this feature allow you to access your place in a game on any system (since it’s connected to your Nintendo account), it’ll automatically save for you when playing with an internet connection. A Nintendo Switch smartphone app will now allow players to voice chat with each other while playing on-line. This is currently available on the Google Play & App stores and can be tested out for free until 9/18. Special offers will become available on a regular basis which will only be accessible to paying on-line customers. 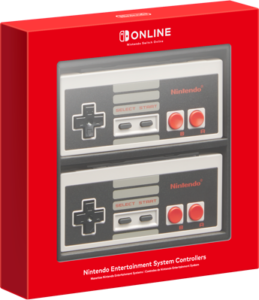 These offers can include bonuses such as an exclusive outfit for a Splatoon character or a purchasable set of $60 wireless NES controllers made special for retro gaming. (UPDATE 9/19: The wireless controllers are currently available to subscribers. Click, HERE to pre-order). Nintendo’s on-line service will become available September 18th. On that date, a 7-day free trial will become available for anyone who wants to evaluate the service before investing in a subscription. Read more about subscription options on nintendo.com.